You have arrived! Look up and see the search box on the left? You have just gazed upon the best search engine on the market. From this state of the art search engine you will be able to easily and quickly find every active listing for San Luis Obispo real estate and the surrounding cities. Go ahead and begin your search for the American Dream right here, right now. The phone number on the upper right is there for you to use. If you have any questions about anything, our team is right here to answer and give you the service you deserve. In 2012 our team sold more real estate in San Luis Obispo and were ranked in the top 4% of all Coldwell Banker agents in the world. We are here to get you the perfect home at the best possible price while giving you incredible service. The best part is that it costs you nothing. Yep, its free. That is right, the seller pays all the fees. So when it comes to buying San Luis Obispo real estate, you have come to the right team and the best website to make your dream home happen. Let's get started. When you first make your search for San Luis Obispo real estate or any of the cities in the county, be sure to pick a price range that is realistic for your desired spending range. The last thing you want to do is look at homes that are out of your range as that will waste your time and emotional energy. 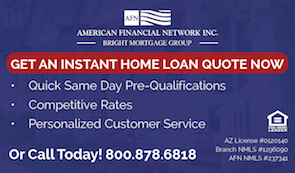 Your time is important so we suggest that if you have not already spoken to a lender we get you pre-qualified so you will know exactly where you stand and we can best help you find your dream home. Once you have picked your criteria let the fun begin. This should be an exciting time for you so please ask us lots of questions. We are right here to help. Now that you are searching for real estate in San luis Obispo don't forget to save your searches and name them. On each search page you will see in the upper left corner the "save" button. Save and name your searches. This does two things. First it allows you to easily search next time using your same criteria without having to use the search feature. Secondly, our search engine will automatically send you properties that match that search every day. So when you check your email, we will have new homes for you to view. You can make as many searches as you want, using different criteria and different cities. This cuts down your time and makes this an easy process. Notice the "Advanced Search" button at the top? Click it and this will allow you to get really specific. If you are looking for only certain features like "ocean view real estate" or "ocean front real estate" you can narrow down the search so you don't waste time looking at properties that don't match what you really want. Explore the tool bar on the right side of the page. Each of the cities and areas in San Luis Obispo County are unique and different and the price of homes varies widely from town to town. This is important, as weather patterns and temperatures, landscapes and hobbies will vary throughout the county. You will see that we have written material to aid your search and we discuss these differences. We know this information is vary important to finding your dream home. Each page has a search box at the upper left and is intended to make the process easy. These pages are designed to give you insight into specific areas of town and information about the cities in general. They are here as a guide, yet the best way to learn about real estate in San Luis Obispo County is give the team a call. We are fully staffed and ready to answer all your question right away. Here is a sample of what you might find on the side bar pages. On this page we have written general information about the town and San Luis Obispo real estate as a whole. San Luis Obispo is the ideal California town, with a near perfect climate, and located midway between Los Angeles and San Francisco. The county of San Luis Obispo offers a breath of fresh air on the California coast with something for everyone. One of the oldest communities in the state, the valley was originally populated by people called the Chumash. Today the city's most famous landmark - Mission San Luis Obispo de Tolosa, established in 1772, rests in the heart of Downtown San Luis Obispo. Our tree-lined downtown is centered around the restored Mission, where you can enjoy creek-side dining and unique shopping. The locals enjoy the historic theatres, festivals, and activities. In particular, Art After Dark, every 1st Friday of the month dozens of businesses open their doors to exhibit over 20 local artists. We have an annual 5 day event, the SLO International Film Festival, with new and classic films being shown at the famous Freemont Theater, the Palm Theatre, and several other venues in Paso Robles, Atascadero, and the beaches. Every Thursday night, we have our Farmers Market - come rain or shine - right in the heart of downtown San Luis Obispo. Bringing the community together and helping to support our local economy the Farmers Market features all local produce, shops, and local entertainers. Another favorite attraction is "Concerts in the Plaza" - our perfect weather makes summer Concerts in the Plaza a highlight of the summer. Located at the Mission, locals love the live music and supporting the local restaurants that put out food booths. This is a wonderful and unique attraction for our residents and many guests. You will be amazed how people will come from up to 3 hours away just to walk up and down the market on Thursdays. San Luis Obispo's popularity is also based on its location - about 11 miles to the ocean - its climate, which is described as a "cool Mediterranean" area, and its cultural attractions. The temperatures are moderate but vary throughout the year. It can be 80 in January as well as in the middle of summer, and seldom rains except during the mild winter months. The town of Pismo Beach was established in 1891 and has been called the Clam Capital of the World due to the once abundant "Pismo Clam". This beautiful beach reported 3834 homes in the 2010 census, with about 60% being owner-occupied. This leaves 40% of the beach for rental income, and it's a very popular location for vacation rentals, perfect for investment real estate. The weather in Pismo Beach is PERFECT nearly all the time! Homes and condos along the shoreline offer the laid-back lifestyle that makes Pismo Beach real estate a favorite. You won't want to miss seeing what we think is the most perfect beach in California. Located along the Salinas River, Paso Robles offers world famous hot springs and spas, luscious wineries, and ia the home of the California Mid-State Fair. The fastest growing wine region in the state of California, Paso Robles offers a tour with a scenic country drive, to see the 180-plus wineries, which produce more than 40 premium wines. This will give you a chance to enjoy the magnificent weather that makes our area so enjoyable. 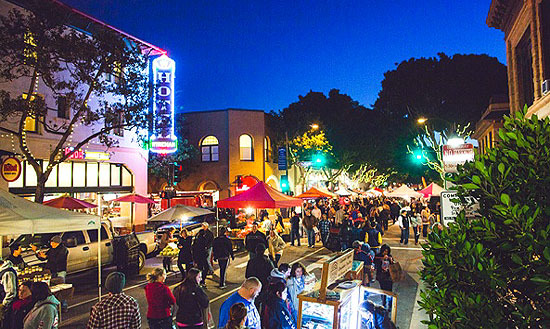 The scenic downtown of Paso Robles begins at the City Park and winds throughout the beautifully restored historic streets. The area is dotted with gourmet eateries and wine-tasting shops, as well as unique boutiques and one-of-kind stores where you'll find a little of everything. Downtown Paso is becoming one of the most popular places to spend your leisure time. Always something new and exciting! The city is also accessed by major highways such as US Route 101 and State Rtes 46 and 229, These highways are direct routes between Los Angeles and San Francisco, as well as the ocean and mountains, and inter-county travel, respectively. Real Estate in Paso Robles is quite popular and its residents enjoy the perfect lifestyle, all the conveniences, inspiring landscapes, and some of the best wine in the world. In short, from climate, to culture, to lifestyle, to beach access - San Luis Obispo County's towns are great places to call home. Other popular nearby cities include Atascadero, Morro Bay, Avila Beach, Cayucos, and several more. We hope you'll explore our website and find the home you dream of! Search the #1 site for San Luis Obispo Real Estate listings.